Talking to secondary students recently, many talked about the lack of opportunities to sit down to socialise in traditional playground type spaces in their schools. A few talked about "rather nasty wooden picnic benches" which were "horrible and had splinters". We can all imagine the scene! The students were keen that within their external area there should be different types of spaces, including the opportunities to sit and talk quietly or be able to work. They also talked about where there was external furniture provided, it was boring and "something your grandparents might buy". There was nothing "funky, imaginative or trendy" and nothing "colourful". 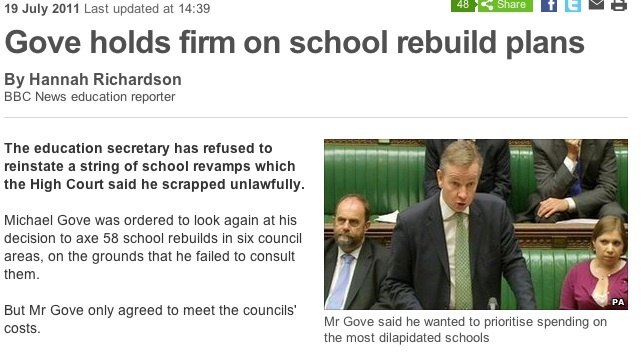 I can't help but agree with them really - I rarely see imaginative external spaces in schools. At a recent event I attended I saw some really quirky and colourful seating outside in a courtyard...just moments of colour in a fairly industrial grey setting - it was really effective. Showing these photographs (and others) to students got a really positive response - "that's what we're talking about". Pity no one asked them really!! Visiting another primary recently I was quite attracted to numerous displays that were just a bit different. Instead of the usual commercial posters demonstrating numbers that are seen everywhere for example, one classroom had a washing line of socks with numbers attached to do the same thing. But not just any old socks - these were eye catching, colourful and fun. They were also used for many different activities, colour, creative writing, matching, measuring not just to demonstrate number. One teacher had a good idea, took the time and energy and acted on it. 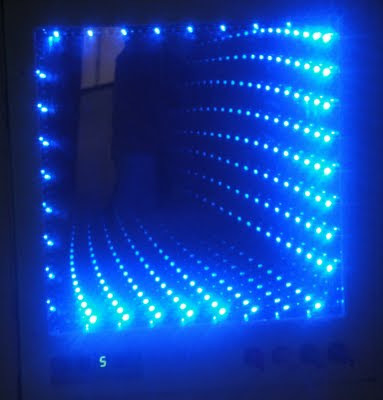 It just helped make the classroom a bit different, a bit more fun and was only part of a range of exciting displays. Teachers do make a difference and those who experiment and act on a range of creative ideas make it even better for their students. There is no deep education philosophical point here - it is simply something that caught my eye and shows a sense of humour. BCSE Director Ty Goddard is quoted in this story supporting the need for a comprehensive survey into existing school estate. This does of course make total sense.... there are many schools currently in dire need of significant investment to make them "decent" as Ty says, or make them great, as many of us would all aspire to. The Modern Baccalaureate was explained in detail during a conference in Leeds yesterday. Led by Andrew Chubb, Principal of Archbishop Sentamu Academy in Hull, the aspirational nature of the ModBac was explained to an audience of colleagues from a number of Academies around the country. The ModBac provides an aspirational curriculum with a series of thresholds, which, at the highest levels, extremely challenging for even the brightest students. It does feature additional modules personal and creative challenge as well as a series of core components, including, very sensibly, one of personal finance management. There is considerable detail about this on the Modern Baccalaureate website. There is considerable interest in the curriculum, how it will further develop and how it will be received 'higher up'. But it does not have to be an 'either/or' situation. Students are able to comply with the requirements of the EBac and tick that box, but within the framework of a much more aspirational, personalised and appropriate curriculum. It does seem to make sense to me, even if some of these latter phrases are now deemed irrelevant. To follow the developing story of the ModBac, Andrew Chubb writes a blog: 'Baccing our Students' which should make interesting reading in the months ahead. I wish them luck with this venture. 'Design Engineer Construct!' attracts massive interest! The launch of the new 'Design Engineer Construct!' curriculum last week has certainly fired the imagination of schools, construction professionals and educationalists both here and abroad in the past few days. I wrote about the launch just a few days ago in a separate post. The release resulted in one of the first articles in last weeks Construction Manager Magazine which again has produced several enquiries from a variety of firms. Talking to more and more educationalists in recent days has really proved how unique this innovative curriculum is and what demand and appetite there is for it in many schools. It will not be for everyone, but there are increasing numbers of schools grabbing it with both hands and aiming to implement it as quickly as possible. The years spent developing this idea by Alison Watson and Dan Gibson, Directors of Class Of Your Own has been really well spent and for students has resulted in exciting curriculum opportunities for students. For those who haven't seen it yet, I do recommend it. I was lucky to accompany a group of staff from an SEN school to RM's Real Centre recently. They had not been out of school for a long time and for the first time had the opportunity to simply research how technology is changing and how it can enhance learning for their particular students with very complex needs. To say they were blown away is an understatement. The Real Centre at RM is designed to promote discussion and research about how the integrated design of furniture and technology can provide flexibility and extend the range of activities to support a more learner centred approach. It is a great venue to explore all sorts of technology, including specialist equipment for sensory rooms for SEN schools. These staff were lucky - many staff in schools really do not fully appreciate just how fast technology is changing or understand the real impact technology can have on learning... or even get the chance to find out. Watching and working with this staff really made me question what else should really be done to try and keep staff up to date in every school. Many just do not get the opportunity to visit and never see the press for stories about new kit. It must be possible to improve this knowledge for staff and schools and surely should be a priority! The fortieth anniversary celebration of ArchitecturePLB was held a couple of days ago at the Royal Veterinary College in London, I was delighted to be invited to attend. I have worked on a number of projects with this really successful company on a range of education projects - and have always found them really great t0 work with. They listen and develop ideas that deliver the vision and work - in other words they get it! The celebration venue was really interesting. Whilst there was lots of talking, networking, general catching up and looking at a range of models of various schemes, several people also looked around the venue itself. It really reminded me that I have been to a couple of schools recently where classroom display of any sort has been extremely sparse with vast expanses of bare walls. Effective display really adds to the nature of the space and can really contribute to the learning process.... when it's missing, it really is a missed opportunity for everyone! On a lighter note, another source of conversation was the pink wheelbarrow..... eye catching it was , but, despite being surrounded by architects and builders, I'm not sure it will ever see a construction site!!! I recently attended the BCSE 2011 Awards. (British Council of School Environments). These Awards celebrate for the fourth year running the achievement of those who create world class teaching and learning environments. 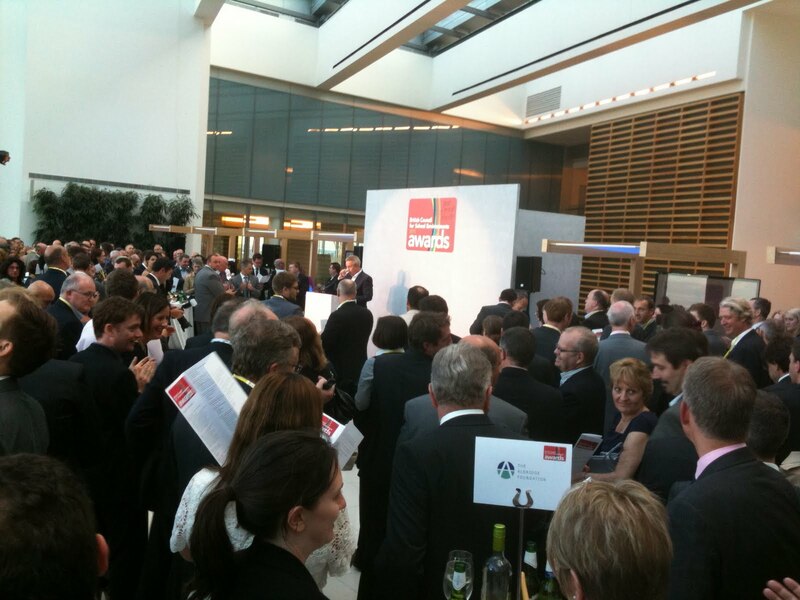 The short lists for each category were quite long and around three hundred people attended at this event. This event is always a great opportunity to meet up with professional colleagues and meet new ones. Congratulations to all those that won the eighteen categories. I admit to being particularly pleased that Adviser of the Year was awarded to Catherine Bates, Design Quality Manager for 4 Futures, the LEP between Southwark Council and Balfour Beatty. I've worked with her on several projects and she really is excellent. This was also recognised in the Partnership for School Awards 2009 when she was also named as Design Manager of the Year. It was be an interesting year for the BCSE with the even more recent announcement that both Director; Ty Goddard and Deputy Director Ian Fordham are leaving to help set up The Education Foundation think tank. See my earlier post. The appointment of a new Director will be an interesting opportunity for the BCSE to develop and progress further. 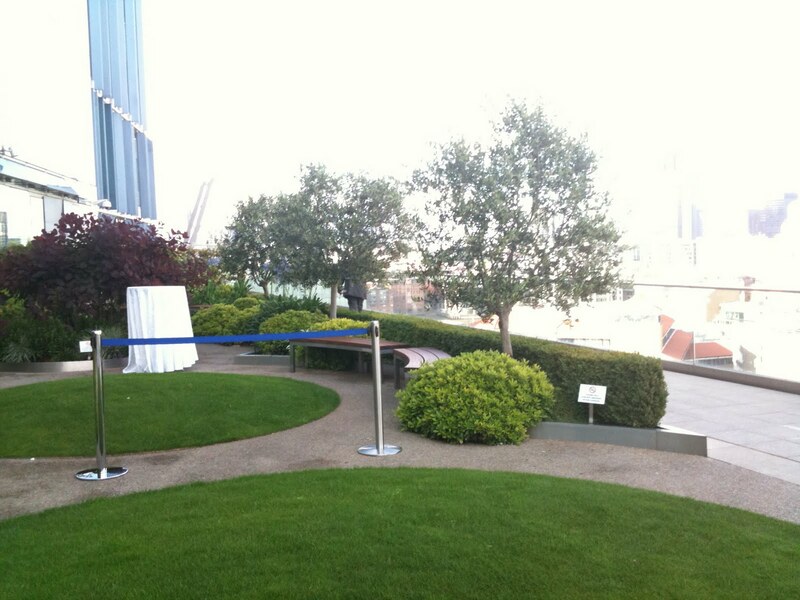 The Awards were celebrated in a fantastic venue, the roof terrace of the Blue Finn building in London. 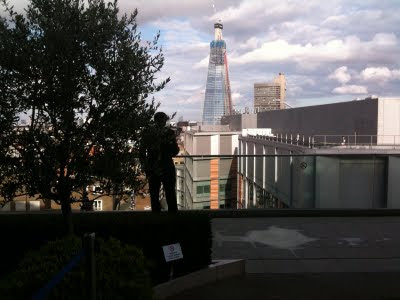 Located on the 10th floor, it afforded fantastic views over the London skyline, and especially of buildings such as the Shard being constructed nearby. The terrace, complete with grass, trees and seating created a series of different types of spaces and prove the true versatility of the roof space. We still ignore roof spaces far too often. I know that I have said it before but when they are designed well and used effectiveley then they can create just great spaces. 'Design Engineer Construct' - a new curriculum from Class of Your Own! I am delighted to see that the innovative new curriculum 'Design Engineer Construct' has been launched this week by the fabulous team at Class of Your Own. This really exciting curriculum has been developed after years of working with young people in an increasing range of schools. The interest already is massive, both nationally and internationally. Regular readers will remember that I wrote a previous blog about the students at Accrington Academy talking about their eco classroom project at the cefpi World Conference in San Jose a year ago. 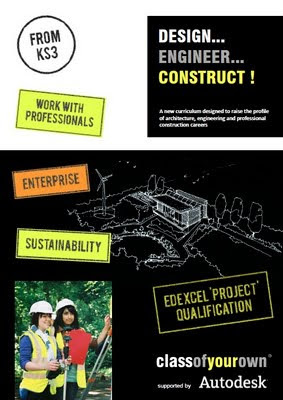 'Design Engineer Construct' is the development of this programme. It is NOT just another construction programme with a focus on bricks, concrete and muck - it's much more apsirational than that. So what is it all about? The classofyourown® Design, Engineer, Construct! project based curriculum challenges young learners to create a sustainable building where the whole community can learn about all things green in their very own Eco Classroom. Students will meet key professionals involved as their building programme progresses to provide a clear appreciation of the wide range of career opportunities in the Built Environment sector including Architect, Land Surveyor, Structural Engineer, Civil Engineer, Construction Manager, Landscape Architect and Facilities Manager. They will discover real life applications of Science, Technology, Engineering and Mathematics as they discover the most creative and effective ways to enhance and improve their own school environment. The curriculum covers the key areas of sustainability, community engagement, professional responsibilities in a construction programme, planning requirements, procurement,constructing and evaluating their design in a 3D virtual environment and compare work with other students nationally and globally. It has already been targetted at involving students on not just ecl classrooms but also on local heritage schemes. More on this to follow! Even better it leads to the Edexcel 'Project' Qualification (see www.edexcel.com/project) so students can be accredited for the unique projects that they develop. 'Design Engineer Construct' is rapidly being endorsed and accepted by schools and a wide range of companies as a really outstanding programme and does what lots of people have been paying lip service for ages, but not doing a good job. This actually does the job! When I was asked to endorse this, it was easy to do..... 'Design Engineer Construct' provides opportunities, raises awareness, raises aspiration, uses 'real' industry standard software whilst working with real people doing real jobs! We already know that it really engages students and staff. How much better can it get?